How Can I Save Money on My Smartphone Bill When Traveling Internationally? Your smartphone provider loves to charge high rates for international roaming. The charges, to some extent, are understandable because they don't necessarily have infrastructure where you're traveling. That said, charges are higher than you want to pay and, in some cases, much higher than they ought to be. With a few adjustments and tricks, you can communicate on the cheap without a problem. Although you can't sign up for a full smartphone contract for a short trip abroad (or, at least, you wouldn't want to), you can get a pay-as-you-go SIM card from most providers if you have a device that supports one. In the US, we have two primary types of technologies used by carriers: CDMA(Verizon and Sprint) and GSM (AT&T and T-Mobile). Because the majority of the rest of the world uses GSM, you need a smartphone that supports it if you're going to be able to use a SIM card. Even if you have a CDMA carrier, some devices still support GSM nonetheless. These are known as "world phones" and describe few devices. Regardless of your provider, you'll need a GSM-capable phone if you want to take advantage of a local SIM card when traveling. On top of that, you'll want your international provider to support the same cellular frequencies, or bands, as your phone. Basically, AT&T and T-Mobile use the same technologies for 3G service but through different bands. By searching for the technical specifications of your phone, you can find out which bands it supports. You'll then want to find an international carrier that uses those bands for their 3G service, otherwise coverage will be less than ideal and often slow. When traveling internationally, you have a lot to consider before you even get to the problem of price. Once you find a compatible carrier, however, you can easily pick up an inexpensive pay-as-you-go SIM card and stick it in your smartphone for use. That is, barring one more problem: your phone must be carrier unlocked. If you purchased your phone on contract, chances are it is locked to your carrier. In some cases you can ask your carrier to unlock your phone for travel purposes, but often times this will come at a cost. In the end, a pay-as-you-go SIM card is a great way to save money but the many requirements to make this option worthwhile will restrict most people (in the US, at least). 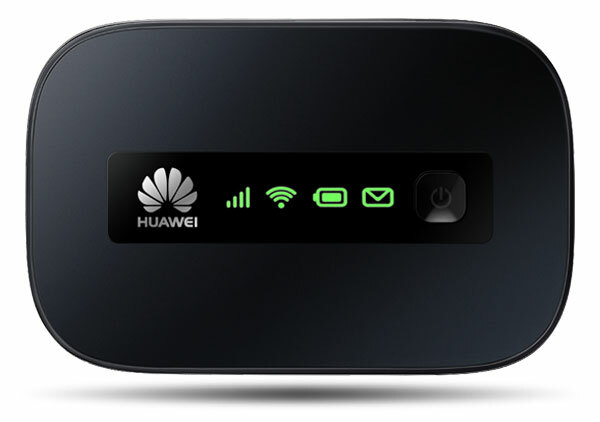 If the above method seems like far too much work, you can save yourself some grief by simply picking up a pay-as-you-go Wi-Fi hotspot from a carrier abroad. This will allow you to use your phone's Wi-Fi to connect to the hotspot and freely use data without paying any international roaming charges. If you need to make calls, setting up a VOIP number won't take much work. Skype is the obvious choice, as it supports most smartphones and offers inexpensive calling to pretty much any location. Google Talk, on the other hand, costs you nothing for Google Voice Chat if calling the United States or Canada. GrooVe IP for Android and a combination of Google Voice and Talkatone for iOS will get the job done. The downside to this option, of course, is that your connectivity relies on the hotspot. For data usage, this won't feel much differently. Calls, on the other hand, will drop more easily when you're moving about because VOIP doesn't recover from dropouts like traditional cellular calls can. Additionally, you'll have two devices to charge: the hotspot and your smartphone. Often times the hotspot won't last quite as long as your smartphone will and you'll need to spend a bit of time thinking about power management throughout the day. Finally, although you can sometimes rent a hotspot as a traveler, you may have to buy one. 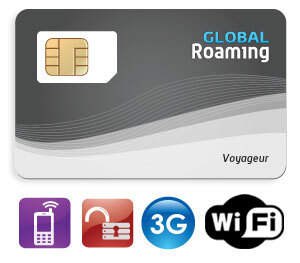 They aren't exactly cheap and can quickly approximate the cost of roaming charges. Research providers and contact them in advance so you can find out your options before you travel. Just as you can often rent a hotspot, carriers offer rental devices for traveler who only require temporary communications. While this means getting another number, and generally a local one, you can use your own smartphone over Wi-Fi for everything else. In fact, if your rental phone has Wi-Fi hotspot capabilities you can use it to provide data to your smartphone and reap the benefits described in the section above. Carrying around two phones isn't perfect, but if you want to save money you often have to make a concession or two. If you're planning on traveling for a month or more, check with your cellular provider about a global traveler plan. Almost every carrier has one (e.g. AT&T, Verizon, andSprint, T-Mobile). Basically, the plan costs you a nominal monthly fee for access to discounted roaming rates. If you plan to use your phone a lot when abroad, you can save a decent chunk of change with a plan like this. That said, the savings aren't enormous. Going directly through your provider will still cost you more money than the aforementioned options. In the end, you'll be paying extra for convenience but that convenience may be preferable over longer trips. Depending on where you're traveling, however, you may have the option of adding free calling to and from that destination specifically. US travelers visiting Canada or México, for example, can often take advantage of a plan add-on that costs a nominal monthly fee with no additional roaming or international calling charges. The same goes for many European countries. Depending on the carrier and the countries, an additional fee may not even be required. Before jumping on a global traveler plan, make sure your carrier doesn't offer a better option for the specific place you're traveling. With these options, you should find at least one way to reduce the cost of using your smartphone while traveling abroad. It's never a cheap endeavor, but with a little effort you can cut costs and have a better, less-expensive trip.